The Immortal Treasure 3 2016 reward is still unreleased, with only one week left before The International 6 Wild Card series get underway in Seattle. The Immortal Treasure 3 delays and the lack of information regarding The International 6 schedule, groups and talent have created a distinct sense déjà vu for the entire Dota 2 community. 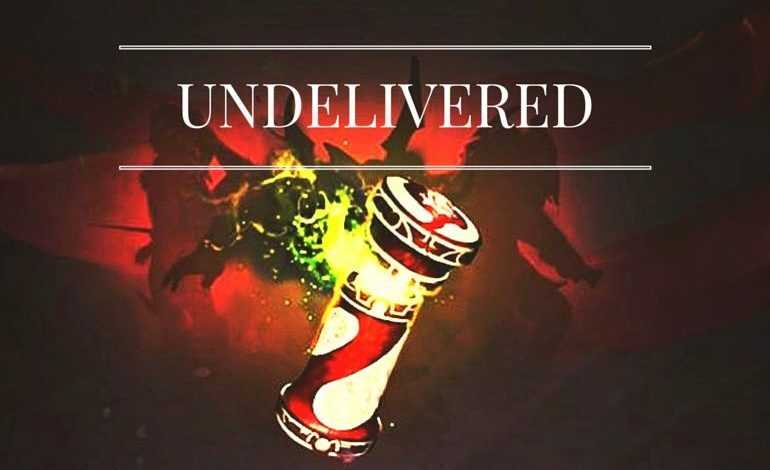 With so little time left until August 3rd, when The International 6 Wild Card series are scheduled to get underway, one can only wonder why Valve did not put together all three Immortal Treasures in advance. Last year’s Immortal Treasure 3 was released 15 days before the start of The International 5 Wild Card series, on July 10th, 2015. Now, seven days before The International 6 Wild Card match-ups, Valve has yet to release the Immortal Treasure 3 items and detailed information vis-à-vis the tournament’s schedule, group-distribution, and talent. 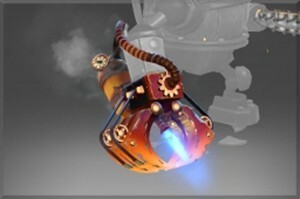 While the TI6 details could very well be momentarily withheld due to logistical complications, the Immortal Treasure 3 items should have been made available sooner. With three treasures announced, just like last year, and an increase in Battle Pass sales that has outpaced the TI5 compendium purchases since the very first day, Valve should have come more prepared. The Dota 2 community has spent over 67 million dollars to get The International 6 prize pool to almost $18,400,000. Therefore, the community is entitled to criticize Valve for lack of preparation and the Immortal Treasure 3 delays. The first and second treasures have already been released, while Immortal Treasure 3 is still locked. The basic version of the Battle Pass comes with one Immortal Treasure 3. Players will need to upgrade their Battle Pass to level 240 in order to get the remaining six Immortal Treasure 3. 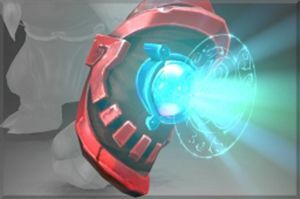 Numerous members of the Dota 2 community have already gotten their Battle Passes way past level 240 and are starting to lose their patience, blaming Valve for lack of proper groundwork. Social networks are rife with predictions regarding the Immortal Treasure 3 items. According to community speculation, the silhouettes depicted on the Battle Pass announcement page suggest that Queen of Pain, Bounty Hunter and either Shadow Fiend or Morphling could be getting items in the Immortal Treasure 3. However, the silhouettes for the second treasure didn’t match the revealed items, so current predictions might not be accurate. Apart from the Immortal Treasure 3 delays, community members have also lodged numerous complaints vis-à-vis the absence of TI6 Compendium specific features, predictions and player cards, as well as the distinct lack of communication regarding The International 6 schedule, format and talent list. With no signs of the Immortal Treasure 3 items, The International 6 prize pool contributions have started to slow down. Had the Immortal Treasure 3 been released, the prize pool would have already exceeded last year’s record-breaking total of $18,429,613. The Battle Pass comes with Immortal Treasure 1, Immortal Treasure 2 and Immortal Treasure 3, community challenges and exciting daily quests, a brand new wagering system, the possibility to compete in weekly Battle Cups, and a myriad of rewards waiting to be unlocked for up to level 2,500. 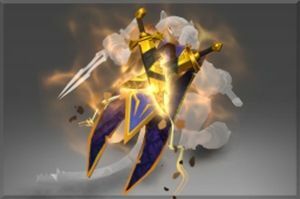 The Immortal Treasure 2 2016 was released on June 23rd and can be obtained by leveling the Battle Pass, once every 30 levels. 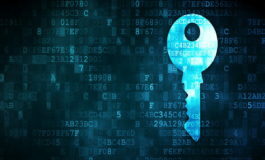 No seal or key is needed to open this treasure, as it is already unlocked. All items in this treasure can be recycled in the Armory to add two levels to The International 2016 Battle Pass. 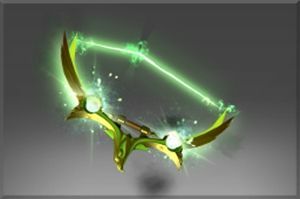 The Immortal Treasure 2 2016 owners have the chance to win a Very Rare Riki Golden Shadow Masquerade and the Extremely Rare Invoker Dark Artistry. Since June 1st, all Rare and Very Rare items in the Immortal Treasures use escalating chances: the chances of receiving those items increase with each treasure opened. Previously, only the Extremely Rare items operated along that mechanic. Lyralei counts amongst her allies a number of winged hunters held aloft by mother wind. 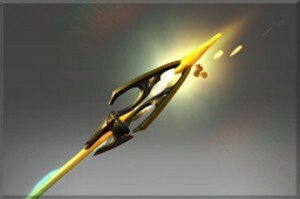 Windranger’s Peregrine Flight bow comes with custom Powershot effect and sound. The effect was modeled after the peregrine falcon, a large, crow-sized falcon, historically known as “duck hawk” in North America. The Peregrine Flight immortal was released on June 23rd. The item is marketable and tradeable. To hear the baleful dirge is to feel its compelling hunger. It calls the sleepless dead to stir beneath the battlefield, grasping upwards to hasten the world’s decay. Pale Augur is an Undying bracer with custom Decay effect and sound. The Pale Augur immortal item matches the style of Pale Mausoleum. Pale Augur is hidden when using Flesh Golem. The fully tradeable and marketable immortal item was released on June 23rd. Riki’s Shadow Masquerade cape carries a custom Blink Strike effect and sound. Riki holds his blades a little bit further away from his body for his loadout animation. 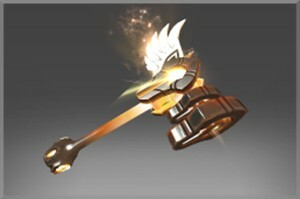 The Shadow Masquerade immortal item was released on June 23rd. The item is marketable and tradeable. As his birthing battle’s curtain fell, the Morphling gathered to him the scant debris expelled in the melting flash of his earthly plunge. If war was the way of this world, he would fashion his own set of martial regalia. 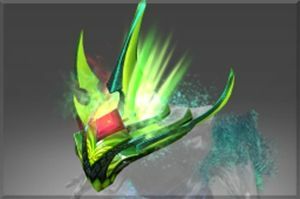 The Morphling Crown of Tears immortal item carries a custom Waveform effect. The item matches the style of Blade of Tears, based on the in-game item Ethereal Blade. The Crown of Tears immortal item was released on June 23rd, being both marketable and tradeable. The Lich Shearing Deposition collar and chains come with custom Frost Blast effect and sounds. The item’s internal name is Frozen Chains. 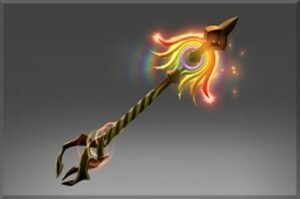 The Shearing Deposition immortal item was released on June 23rd and is both marketable and tradeable. 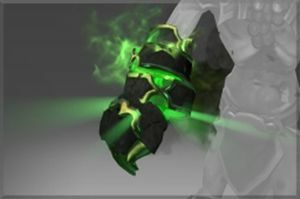 The Earthshaker Bracers of the Cavern Luminar carry custom Aftershcok effect and sound. The immortal item was released on June 23rd. The item is marketable and tradeable. Gilded in celestial metals extracted from the cosmic barrage of Selemene’s protective storm, the thrum of this bow sounds the invitation to more of its heavenly kin. 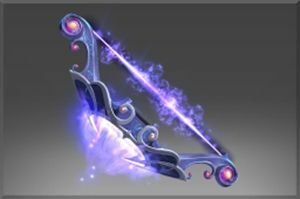 Mirana’s Pulsar Remnant bow comes with custom Starstorm effect and sound. The immortal weapon was released on June 23rd. The Pulsar Remnant is both marketable and tradeable. The chances of receiving this item increase with each Immortal Treasure 2 opened. Similar to the regular Shadow Masquerade cape, Riki’s Golden Shadow Masquerade carries a custom gold Blink Strike effect and sound. The Golden Shadow Masquerade immortal was released on June 23rd. The chances of receiving this item increase with each treasure opened. The item is marketable and tradeable. The formal battle dress of a crumbled and forgotten academy for the mystic arts, claimed as rite and tribute on the day its star pupil decided to break free. 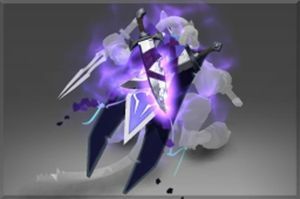 The Extremely Rare Invoker Dark Artistry immortal set comes with custom particle effects and spells, including Sun Strike, Deafening Blast and Tornado. The Ultra Rare set contains five items: Dark Artistry Cape, Dark Artistry Hair, Dark Artistry Pauldrons, Dark Artistry Bracers, and Dark Artistry Belt. The Dark Artistry Hair comes with two selectable styles. The second one shares the same appearance and customization options as Magus Apex, with slightly different textures. 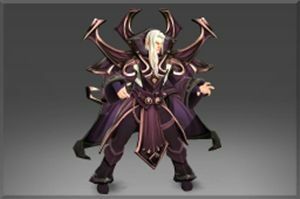 Both marketable and tradeable, the Invoker Dark Artistry immortal set was released on June 23rd. 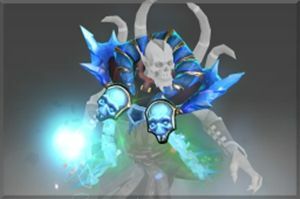 The chances of receiving this set increase with each Immortal Treasure 2 opened. The Immortal Treasure 1 2016 was released along with The International Battle Pass, on May 17th. The reward comes with the Basic Battle Pass, at Level 1. Owners get the chance to win a Very Rare Golden Fortune’s Tout healing ward and the Extremely Rare Faceless Void Mace of Aeons. The Immortal Treasure 1 2016 can be obtained by leveling the Battle Pass, once every 30 levels. All items in this treasure can be recycled in the Armory to add two levels to The International 2016 Battle Pass. Since June 1st, all Rare, Very Rare and Ultra Rare items in the Immortal Treasures use escalating chances. Previously, only the Ultra Rare items operated along that mechanic. Rarity rolls have been back-filled to players who have already opened Immortal Treasure 1 2016. Battle Pass owners with successful rolls will find the respective items waiting in their Armory. With his Adoring Wingfall immortal hammer on, Omniknight’s Purification gains a custom effect and sound. The Adoring Wingfall immortal was released on May 16. The item is marketable and tradeable. The Weaver Crimson Pique item carries a custom Shukuchi​ effect and sound. The Crimson Pique immortal was released on May 16. The item is marketable and tradeable. Timbersaw’s new weapon comes with a custom Timber Chain effect and sound. The Destroying Trees effect is only shown when trees are destroyed with Timber Chain. The Controlled Burn immortal was released on May 16. The item is marketable and tradeable. Long dead are the last bards to spin tales of the ancient forest warden Virga Truebark, but the spear forged for her hand propels a legacy mightier than mere song or story. Virga’s Arc is an immortal spear with a custom Impetus effect and sound. The Virga’s Arc immortal was released on May 16. The item is marketable and tradeable. 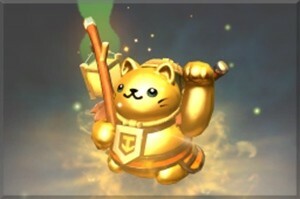 The Juggernaut Healing Ward is based on the maneki-neko, a common Japanese lucky charm and symbol of good fortune. Fortune’s Tout shares models with the Golden Fortune’s Tout, but come with different textures and particle effects. The cat’s paw shakes faster when it’s moving. The Fortune’s Tout immortal was released on May 16. The item is marketable and tradeable. Topped with a crystal shard charged by Vorn’s fateful compact, this pike helps bind the many facets of the lancer to single purpose. The Phantom Concord immortal weapon carries a custom Spirit Lance effect and sound. The Phantom Concord immortal was released on May 16. The item is marketable and tradeable. 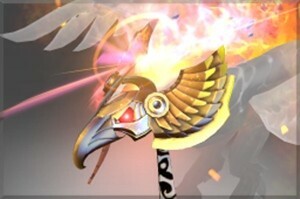 The Phoenix Solar Forge immortal helm comes with a custom Sun Ray effect and sound. 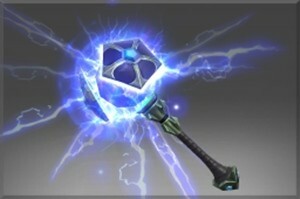 The Solar Forge immortal was released on May 16. The chances of receiving this item increase with each treasure opened. The item is marketable and tradeable. 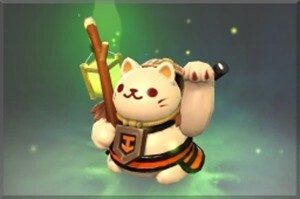 Just like the regular Fortune’s Tout, this Juggernaut Healing Ward is based on the maneki-neko, a common Japanese lucky charm. Golden Fortune’s Tout shares models with the Fortune’s Tout, but come with different textures and particle effects. The Golden Fortune’s Tout immortal was released on May 16. The chances of receiving this item increase with each treasure opened. The item is marketable and tradeable. A thousand blows strike in a single moment stretched across the expanse of time, a death stroke that consumes eternity. 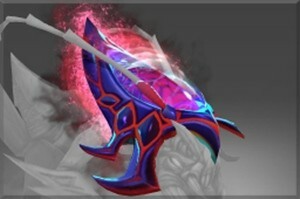 Faceless Void’s Mace of Aeons immortal weapon carries a custom Chronosphere effect and sound. Faceless Void holds his weapon slightly further off to the side in all animations. The Mace of Aeons is likely related to Faceless Void’s shoulder accessory, the Jewel of Aeons. The Mace of Aeons immortal was released on May 16. The chances of receiving this item increase with each treasure opened. The item is marketable and tradeable. Well, looks like they’ve heard you!